The word used over and over by Kellogg students is “collegial.” School balances individual development and teamwork, case studies and lectures. Case method allows students to solve real-world problems. Ivory tower is not everyone’s cup of tea, but alumni network is vast. Students on “Team Fuqua” enjoy the collaborative learning experience. Good for the hand-holding types but some would like more debate and conflict. Small class-small town leaves something to be desired. But many appreciate the “self selecting” crowd that attends. General management program is specialized. Students go by an “excellence without attitude” mantra. Active student clubs provide career development, but there’s limited access to East Coast recruiting. Tepper’s small class size creates intense focus, intimacy, and greater hands-on responsibility. Curriculum is geared toward the quantitative mind. 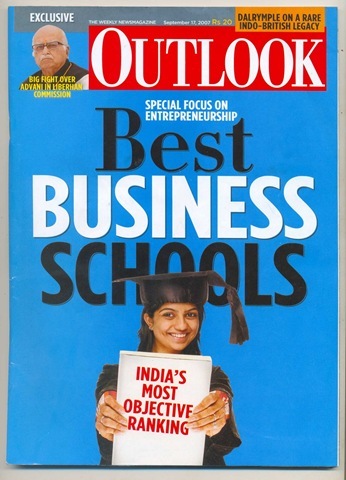 CAT – The Common Admission Test to the six IIMs is also the entrance test for few other top B-Schools. Indian Institute of Social Welfare & Business Management, Calcutta. Tamil Nadu Common Entrance Test (TANCET) – Tamilnadu.